Ferrari Testarossa: Sales brochure c.1985. Photo illustrations; 6 pages including 3 fold outs; 270 x 300mm; text in English & German; pictorial wrappers. Category: Motoring. 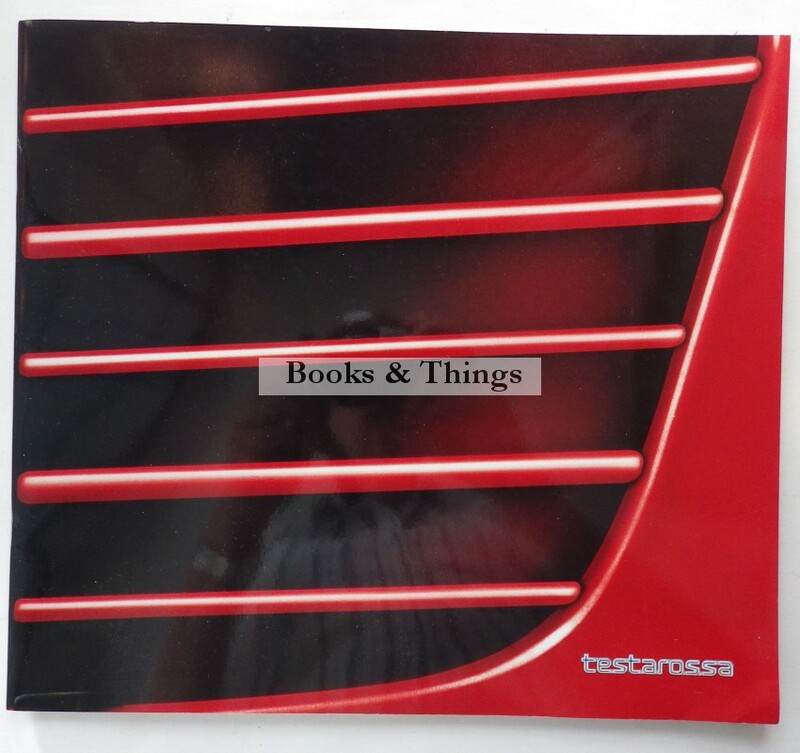 Tag: Ferrari Testarossa sales brochure.